Breath is an ultrasonic humidifier that is easy to use, looks sleek, and produces a quiet, superfine mist. 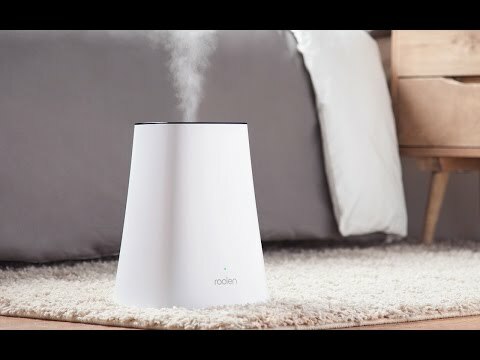 With three simple settings controlled by one button, Roolen even includes an automatic mode that senses the humidity and only releases mist when needed. 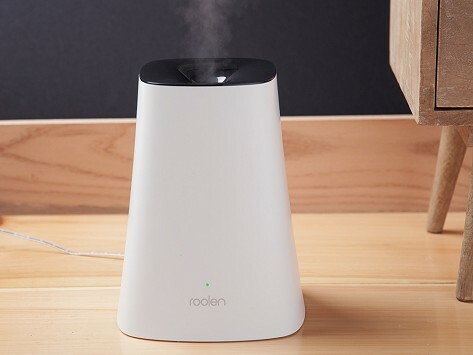 Auto mode will adjust its levels based on the humidity in the environment to produce the "Optimal Humidity Level"
Dimensions: 7.87" x 7.87" x 10.24"
This is the best humidifier I have ever had. It is quiet and not messy with water all over the place. super quiet, compact design, and WORKS! Plus, Breath was made to be seen (and not heard). It’s a smart, sleek complement to any modern home or office.